This basic model of the EX DELTA series of vortex flow meters includes a range of intelligent functions such as self diagnostics and the capability to review and change parameters. It is available either with a standard fixed sensor or with a replaceable sensor. With the replaceable sensor versions, it is possible to service the sensor without interrupting the process flow or removing the meter from the pipeline. They are particularly suited to long-run processes or on-site instrumentation where the utmost reliability and ruggedness are required. The standard Smart EX DELTA is also available as a battery powered unit requiring no external power source, where the battery pack has a 7 year life based on a 24 hours a day operation. In areas where pipelines are densely installed, or in elevated or hazardous locations, a remotely mounted indicator may be preferred. The indicator can be mounted up to 200 mm from the basic flow meter, allowing the operator to monitor a number of widely distributed flow meters from a central control. Display options include total flow (resettable), instantaneous flow rate, % FS instantaneous flow rate, % FS bar graph. 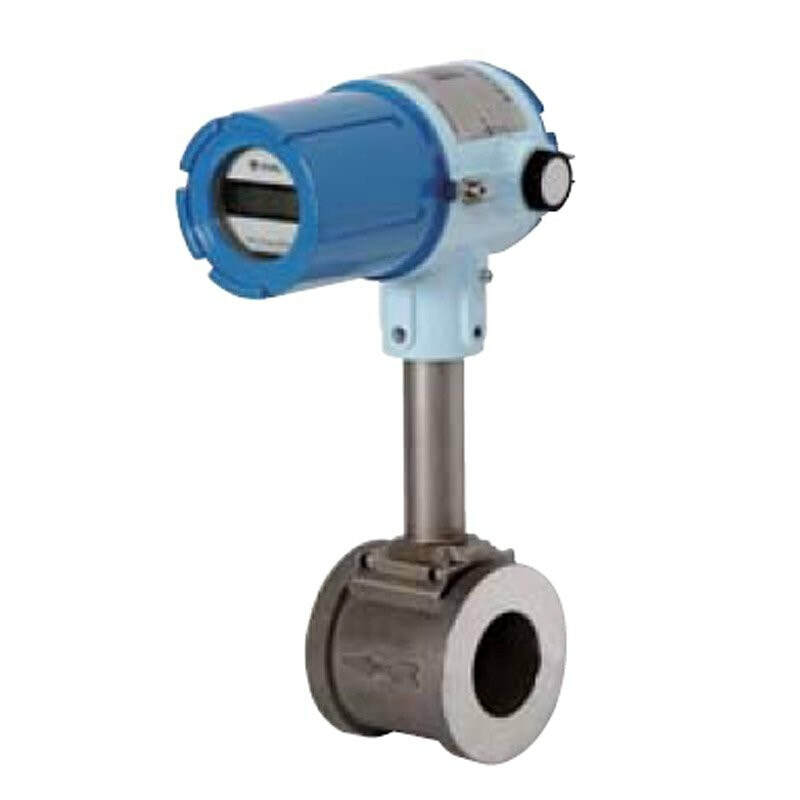 This basic model of OVAL’s EX DELTA vortex meter series includes options to measure liquid or gas/steam flows and intelligent functions such as self diagnostics and the capability to review and change parameters.